This pamphlet is the first of a serious devoted to factual narratives from Theaters of Operations. It has been reproduced at the Infantry School by direction of the Commanding General, Army Ground Forces. 25 copies for each battalion, which permits distribution of 1 copy to platoon and company headquarters. There has been a tendency among some of the less experienced officers and enlisted men to feel that, in the final analysis, preparation and training for battle are but poor substitutes for reality; that, after all, a man will react naturally and instinctively on the battlefield, and upon arrival there will learn quickly and spontaneously what he failed to learn while undergoing training. Unfortunately, this is seldom the case. Men whose training is incomplete tend to become confused or find that they lack the knowledge necessary to combat the enemy effectively. Bismarck once remarked that "Fools say they learn by experience. I prefer to learn by other people's experience." He was but emphasizing the fact that the old saying "live and learn" must be reversed in war, for there we "learn and live;" otherwise we die. It is with this learning, in order to live, that the Army is so vitally concerned. Months of effort are spent in the endeavor to convert a civilian into an accomplished soldier. In this training the Army encourages all soldiers to accept the experiences of others as a basis for their own future conduct. The following account is a record of the experiences of a team of five officers and eighty-six enlisted men in an engagement in the vicinity of EDDEKHILA, a small village about ten kilometers west of TEBOURBA, TUNISIA. It describes, in detail, the coordination and initiative required in any successful operation. It is an excellent example of sound application of tactical principles in a concrete situation. 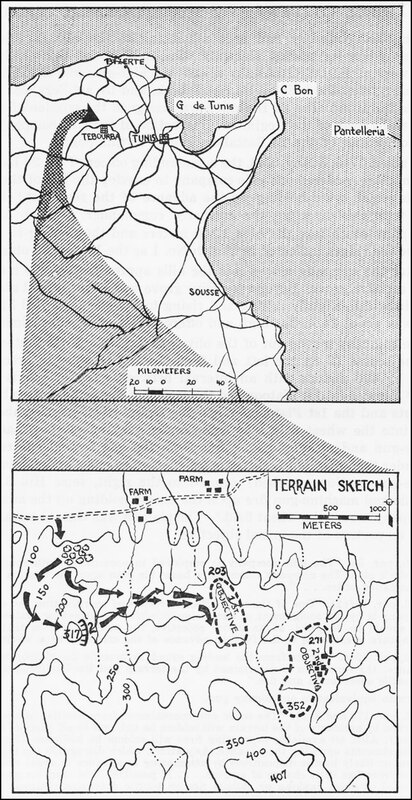 The Reader should note, particularly, the methods of control used, the use of fire and maneuver, the use of supporting weapons, the use of cover and concealment, the actions of scouts, the coordinated action of individuals and squad leaders, and the time element necessary to organize, coordinate, and advance over difficult terrain while under enemy fire. The 168th Infantry had been advancing to the east in column of battalions when its leading elements were held up approximately 1,500 meters west of EDDEKHILA by severe machine-gun and machine-pistol fire coming from the hills on its right flank, and by artillery and mortar fire from the front. The 2d Battalion was assigned the mission of protecting the right flank of the Regiment. THe action of the rifle company under discussion, a unit of the 2d Battalion, begins at this point. After the company moved into the hills approximately 200 meters, it entered an olive grove. Beyond the olive grove was a wheat field about 500 meters in width, slightly rolling and rising to the slopes of Hill 317. The wheat was about 14 inches high and offered little or no concealment. The company moved out of the olive grove with the 1st Platoon leading. The scouts (2 on the left and 2 on the right) were to precede the platoon by 400 meters with an interval between paris of scouts of 400 meters.3 Lieutenant 1st Platoon and the company commander were between the scouts and the 1st Platoon. When the scouts had advanced about 400 meters into the wheat field they came under very heavy, but inaccurate, machine-gun and machine-pistol4 fire from the left front. 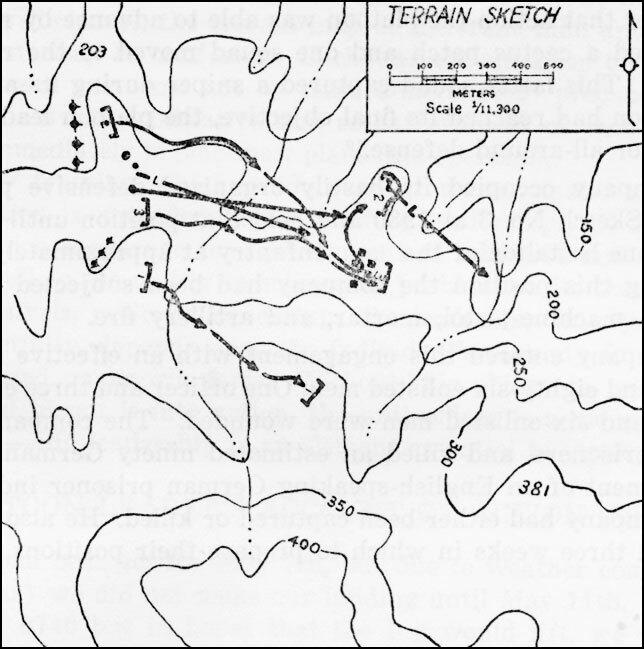 The company commander then directed Lieutenant 2d Platoon to move his platoon (light machine-gun section attached) around to the right, seize Hill 317, and place rifle and machine-gun fire upon the enemy holding up the advance of the company across the wheat field.5 The platoon was then to advance and capture its portion of the initial objective. 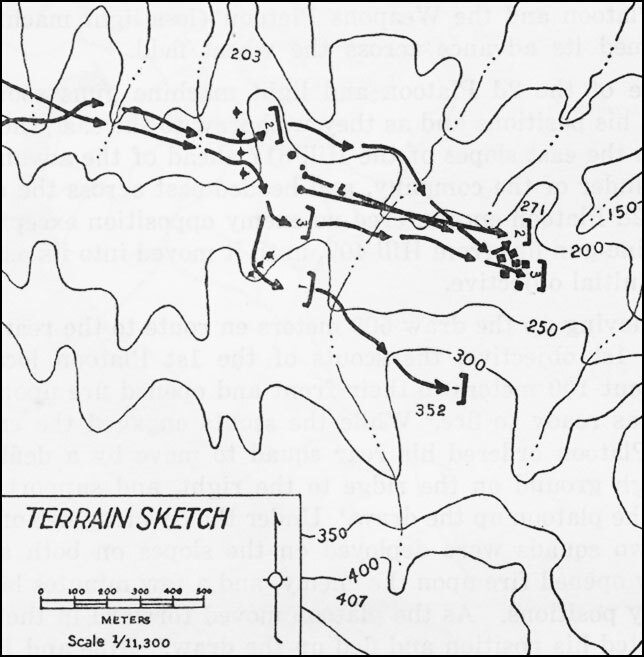 Because of favorable cover, the 2d Platoon moved west to a draw, used a trail running south up the draw to the rear slopes of Hill 317, and went into position on the east slopes of Hill 317. Under the cover of the rifle and light machine-gun fire of the 2d Platoon, the 1st Platoon, followed by the 3d Platoon and the Weapons Platoon (less light machine-gun section), resumed its advance across the wheat field. The fire of the 2d Platoon and light machine guns soon drove the enemy from his positions and as they withdrew to the east, the 2d Platoon moved down the east slopes of the Hill 317 ahead of the advance elements of the remainder of the company, and headed east across the ridges to its front. The 2d Platoon encountered no enemy opposition except long-range heavy machine-gun fire from Hill 407, until it moved into its assigned position on the initial objective. After moving up the draw 500 meters en route to the rear of its position on the 1st objective, the scouts of the 1st Platoon located enemy positions about 100 meters to their front and opened fire upon the enemy before he was ready to fire.6 While the scouts engaged the enemy, Lieutenant 1st Platoon ordered his rear squad to move by a defiladed route, seize the high ground on the ridge to the right, and support by fire the advance of the platoon up the draw.7 Under the covering fire of this squad, the other two squads were deployed on the slopes on both sides of the draw. They opened fire upon the enemy, and a few minutes later assaulted the enemy positions. As the platoon moved forward in the assault the enemy deserted his position and fled up the draw.8 Rifle and BAR fire directed at them was extremely effective. The platoon continued up the draw, overrunning several hastily abandoned enemy positions. An enemy machine gun was captured and turned upon the fleeing Germans. When the 1st Platoon reached the head of the draw, it turned east to the forward slopes of the ridge to its front and occupied its position on the initial objective. The 3d Platoon had been following in the trace of the 1st Platoon and when it drew opposite its position, turned east and went into its portion of the 1st objective. company commander.9 The dispositions of the company at about 1220 were as indicated in Sketch No. 2. 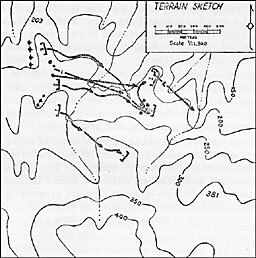 At approximately 1230, the battalion commander arrived at the company Command Post, which was located on the rear slope of the saddle between the 2d and 3d Platoons. There, the battalion and company commanders agreed upon the plan of attack of the final objective. After approving the plans, the battalion commander ordered one machine-gun section and the 81-mm mortar platoon from the Heavy Weapons Company attached to the Rifle Company for this attack.10 The time of the attack was to be delayed until the heavy machine guns and mortars were in position and ready to fire. The heavy machine guns went into position so that one gun was on each flank of the light machine guns. The 81-mm mortars went into position in the rear of the 2d platoon. The third squad was sent around Hill 271 to envelop and capture or destroy the machine gun holding up the advance. This squad captured one machine gun and killed the personnel to two other machine-gun nests.15 The remainder of the platoon continued on to the Arab village, cleared it of enemy and in so doing captured 16 German prisoners, 4 machine guns, 9 machine pistols, and much German equipment. 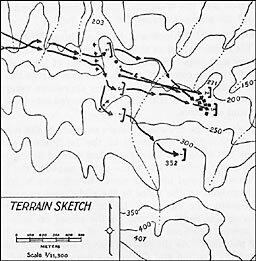 The platoon then attempted to advance across Hill 271, but was unable to advance beyond the limits of the village because of heavy machine-gun and mortar fire from the vicinity of Hill 381 (see Sketch No. 3). As the platoon scouts had reported the draw on the right thoroughly covered by machine guns and devoid of cover and concealment, the platoon leader held his platoon in the cover of the Arab village to await the arrival of the other platoons. Meanwhile, the other platoons of the company and the attached weapons moved forward. The company commander, sensing the possibility of a counterattack from the direction of Hill 271, directed the 2d Platoon to move around the left side of Hill 271 to hit any such attack in the flank.16 This light machine-gun section was ordered to join the 2d Platoon. The 2d Platoon moved around the left of the hill as directed, contacted no enemy, and moved into a saddle northeast of Hill 271. The light machine guns were rapidly placed in the saddle covering the front of the 3d Platoon which had meanwhile pushed east of the Arab village to the forward slopes of the ridge The 3d Platoon, by bringing rifle fire upon enemy machine guns firing from positions on the ridge opposite the 2d Platoon, assisted in the deployment of the 2d Platoon and the light machine guns. by surprise, little expecting an attack from the hill.19 They rushed down the draw to the north leaving 12 dead and several wounded. One man volunteered to follow the fleeing Germans down the draw, and under the cover of the machine guns on the knob captured 21 prisoners. Four Germans are believed to have escaped up the draw. In this action the rifle squad had captured 21 prisoners, 7 machine guns, many machine pistols, and several rifles. The squad then returned to its positions on the hill, and at darkness the entire platoon held the ground indicated in Sketch No. 3.
and then directed its fire on the fleeing Germans. During this action, the platoon leader was fatally wounded and the platoon sergeant assumed command. As the platoon reached its objective, the squads were disposed to meet a counterattack and to maintain contact with the 1st Platoon on the right. The company occupied its hastily organized defensive positions as indicated in Sketch No. 3 at 1930 and held that position until relieved by elements of one battalion of the ___ Infantry at approximately midnight. While holding this position the company had been subjected to constant machine-gun, machine-pistol, mortar, and artillery fire. The company entered this engagement with an effective strength of five officers and eighty-six enlisted men. One officer and three enlisted men were killed, and six enlisted men were wounded. The company captured forty-seven prisoners, and killed an estimated ninety Germans. The voluntary statement of an English-speaking German prisoner indicated that his entire company had either been captured or killed. He also stated that they had had three weeks in which to prepare their positions. 1 FM 7-10, par. 5a. "The rifle company is employed in accordance with the battalion commander's plan. The company commander bases his plan upon the mission assigned in the battalion order. . . ."
2 FM 7-10, par. 17f(2). "One of the most effective means of coordinating the efforts of the company is by the assignment of successive objectives to attacking platoons. Each platoon should be assigned, as its initial objective, the nearest terrain feature . . . whose capture is essential to the further advance of the company as a whole." 3 FM 7-10, par. 108a. "Scouts from the leading squad(s) precede the platoon to protect its advance; the formation is determined by the terrain and the likelihood of coming under hostile observation and fire." 4 The German equivalent to our tommy gun. 5 FM 7-10, par. 17e and h(2). "The cover and concealment from hostile observation and fire afforded by accidents of the terrain will seldom be uniform in all parts of this zone (of action). Also, all available supporting fires will seldom be sufficient to neutralize all hostile elements opposing the advance. Any attack which disregards the terrain and the actual or likely hostile dispositions by attempting to advance in equal strength all along the front has little chance of success. . . . If possible, light machine guns should be employed to place flanking or oblique fire on hostile defensive positions opposing their own company or adjacent units." 6 FM 7-10, par. 142d. ". . . a rifle platoon in the attacking echelon . . . is preceded by its scouts. Deployed in pairs at wide and irregular intervals, they move out boldly . . . to reconnoiter successive positions. . . ."
7 FM 7-10, par. 108b(2)(a). "When the platoon comes under effective small-arms fire, further advance is usually by fire and movement. The enemy is pinned to the ground by frontal (and flanking) fire, under cover of which other elements of the platoon maneuver forward, using all available cover to protect themselves against hostile fire." 8 FM 7-10, par. 108c. "The attacking echelon of the platoon works its way as close as it can get to the hostile position without masking friendly supporting fires. . . . Wherever and whenever the assault begins, it should receive the immediate cooperation of every individual and unit within sight." 9 FM 7-10, par. 17f(2). ". . . when the company commander desires to control the action more closely, the platoon may be directed to be prepared to continue the attack. If the platoon has been directed only to be prepared to continue the attack, the company commander must later give the order to resume the attack and assign the nest objective." 10 FM 7-15, par. 36a(3). "Whenever conditions arise which prevent any particular unit of the company from continuing to render satisfactory support under centralized control . . . , this element (should) be attached to an attacking rifle unit." 11 FM 7-10, par. 21d. "The weapons platoon should be pushed forward aggressively. . . . The company commander . . . should concentrate the fire of both (machine) guns, if possible, on targets of limited extent, when and where this fire will best assist the advance of his own . . . unit. . . ." Par. 17h(1). "When an attacking rifle platoon cannot be effectively supported by mortar fire under company control, a mortar squad may be attached to that platoon." 12 Particular attention should be paid to the time element involved in this action. Although three hours were required to move and emplace the heavy weapons, the total time spent in reducing the enemy positions was probably lessened through the use of supporting weapons. FM 7-10 par. 21c, cautions the company commander not to "permit rifle units to do slowly that which supporting weapons can do promptly, or to attack without supporting fires when assistance by supporting weapons will save both time and casualties. . . . WHenever the support of his own weapons platoon is insufficient, he should call . . . on the heavy weapons company. . . ."
13 FM 7-10, par. 22a. "When the attacking echelon has progressed as close to the hostile position as it can get without masking its supporting fires, these fires lift and the assault is launched. . . . Supporting weapons cover the assault by directing their fire at those adjacent and rearward hostile elements which are able to fire on the assaulting troops. . . ."
14 FM 10-7, par. 108d. "Upon capture of the initial objective, the platoon leader makes a quick personal reconnaissance and promptly issues his orders for renewal of the attack. . . . Every effort is made to press the attack without pause." 15 Attention has been called to textual references emphasizing the use of fire and maneuver, and the necessity of outflanking enemy positions, if they are to be captured without excessive losses. This is an excellent example of the use of manuever. See note 13. 16 See FM 7-10, par. 24b. While the company is undergoing reorganization, it is of the utmost necessity that it be adequately protected from hostile counterattack. Precautions must always be taken, even though they may prove to have been unnecessary. 17 The continuous and skillful employment of scouts by the unit commanders involved, and the excellent manner in which the scouts performed their duties, is worthy of special attention. A careful reading of this account will bring out clearly the responsibility of the scouts in protecting their units form surprise and ambush. Textual references emphasizing this responsibility have already been cited. 18 FM 100-5, par. 511. "Open warfare requires the widest possible exercise of initiative by commanders of all echelons in the execution of the general mission assigned to the command. "Information gained by reconnaissance agencies during the advance affords a basis for the commander's preliminary disposition, and may enable him to determine the general line of engagement with the enemy and the plan of attack." 19 FM 7-10, par. 1083. "As the attack progresses the platoon leader effects reorganization. . . . Unless the attack is to be resumed almost immediately, the platoon should dig in to be prepared to meet a hostile counterattack." In the preceding account attention was drawn to the need for adequate pre-combat training of troops and to the value of utilizing the combat experience of others in such training. 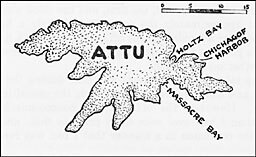 In this report of acton on Attu, the successful application of the habitual methods and techniques acquired in training to actual combat situations again is emphasized. However, this narrative clearly indicates the limitations in the application of previously acquired techniques to all battle situations. On many occasions, actuality will differ greatly from preconceived ideas. Plans will go wrong, mistakes will be made, weather conditions will change, the terrain may be different than anticipated, and enemy actions may be confusing. Such was the situation on Attu. These difficulties were overcome not by blind adherence to preconceived plans, but by the individual initiative and resourcefulness of unit leaders who were able immediately to place new plans into operation. Military training which produces only an automatic reaction to a given situation is not adequate to produce leadership. It must contain elements which encourage the development of initiative and flexibility of action, as well as the ability to solve each problem on its own merits. In the final analysis, military leadership, like leadership in any other phase of human activity, depends on the individual's capacity for rapid, clear thinking, based on known facts. Without this ability to reach a logical decision, and to put it into action, the unit officer is a mere commander, not a leader--and leadership is an element essential to victory. D day had been set for May 7th, but due to weather conditions (fog and high seas) we did not make our landing until May 11th. H hour had been set for 0740 but in hopes that the fog would lift, we waited until nearly 1600 before going in. When we did go in, the limit of visibility was about 600-800 yards. As the result of this low visibility, most of the wave commanders and coxswains got lost on the trip in, and the second wave landed first. However, the second, the first, and the third waves all landed on the beach at approximately the same time. Nearly a hundred boats were jammed together a hundred yards offshore for about a half-hour until it was decided to go on in for the landing. Then the first three waves were all jammed together on the beach. Had the Japs taken us under fire at any time during the minutes just before beaching and while we were on the beach, the casualties would have been enormous. However, the officers and noncommissioned officers worked better than I had ever seen them prior to this, and order was brought out of the confusion in a manner that I feel was remarkable. My command was the 1st Platoon of Company I of the --- Infantry. We had been given a special job, that of protecting the left flank of the whole RLG ---.1 As soon as I hit the beach I saw that my company was spread out and scattered over a very large distance on the beach. Being unable to see my company executive officer, I placed my platoon in a defensive position under cover, and rounded up the rest of the company. I took them to the company commander and then began my special mission. While I had been doing this, the first wave of units were beginning their advance straight up Massacre Valley from Beach YELLOW (our landing beach) in Massacre Bay. had been marked on the map as being 580 feet, was nearly 1,000 feet higher than that.5 A little after 2200 we began to meet resistance from close range. The limit of visibility at this point was about 100 yards. The Japs would wait until we came just into vision limit, fire 5 or 6 rounds, retreat 100 or 200 yards and repeat. Their marksmanship was awful. None of us were touched. Due to the fact that this was my first combat experience it took me longer to develop a means of combating this tactic of theirs than it will the next time.6 I finally placed the platoon in formation 2 squads forward and 1 in support, leading squads in a skirmish line, support squad in squad column because, with visibility so limited, control was difficult.7 We all took turns being bait. Acting as scouts one or two men would advance ahead of the platoon at about 60 yards. The Japs would see these men, and fire on them. They simply hit the ground and lay quiet, and the rest of the platoon fired on the sound of the Jap guns. I was surprised at the number we knocked off in this manner. It may not be orthodox, but it worked, for by 2315 we either had eliminated them all, or those who were left decided their Emperor would not mind if they put some distance between us in order to think things over. I feel very definitely that if a continual advance is made on the Jap he becomes confused and doesn't know quite what to do next, the result being he does the same thing so much, it can be realized in time to take effective action against his measures. One thing is certain. this business about him being a superman is so much tripe. When you start giving him the real business, he will run like hell and be twice as scared as your are, and when I think how scared I was, that is saying a lot. 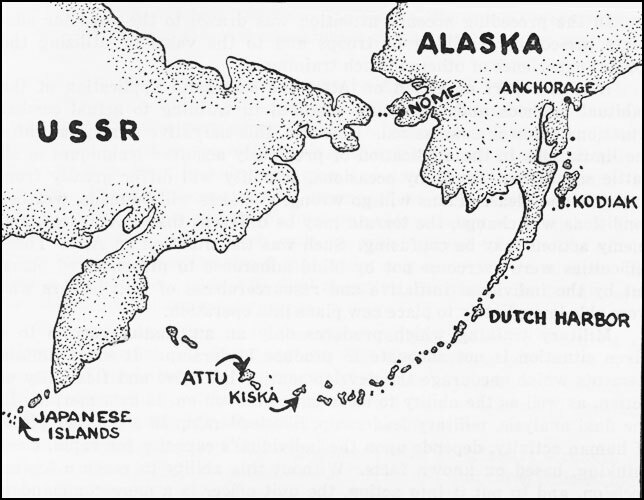 We went into position near a Jap encampment from which a group of 40 or 50 Japs retreated when we approached. We were never near enough to them to fire. They burned their tents and as much equipment as they could. The Japs all grinned and started to jabber and boldly walk forward. I ordered "COMMENCE FIRE." They all went down on the first burst (range about 150 yards), but a machine gunner was not dead and opened fire. He fired only about 6 rounds when his head was literally torn apart. My soldiers were very cool and actually squeezed off their shots.11 Checking the shots fired and the number of times the Japs were hit, I estimate about 96 per cent hits. My men told me that others had jumped into foxholes, so we blasted all those within 200 yards, and I believe that some Japs were killed in that manner. The Jap leader also was not killed and tried to gut me with his Samurai sword when I got hear him to throw a grenade in a hole. I shot him 3 times in the face with my carbine, and at the same time one of my BAR men let him have about half a magazine. I now have the Samurai sword. We then searched the whole area unsuccessfully for more Japs and began our advance. what we did, they fired with amazing accuracy on us. Their snipers are terrible, for they fired on us continually from long and short range, and none of my men were ever hit. I am sure that of the total American casualties, only a small percentage will be found to be from snipers, especially when it is considered that they fired at us continually. From the lake we advanced about 500 yards when we came under machine-gun, mortar, and artillery fire. Also the Navy let go with all its guns in an almost unbelievable barrage at this time, and they were hitting just ahead of us. I couldn't advance farther without coordinating with BCT or RLG. To make it very definite that we were pinned down, our own 37-mm guns took us under fire at this point from somewhere near RLG --- CP. They could really shoot. We went under ground. From then on, every American force that passed near us fired on us. We got so we could yell, "You * * *, CEASE FIRE!!!!" in such a manner that we could be heard nearly 1,000 yards. I feel that higher echelon coordination could have prevented practically all this firing on us. I am proud of the fact that my boys never got so excited that they fired back. I saw two other units have quite a battle. a machine gun opened up and one bullet knocked off my wool cap and made a grazing cut in my forehead. It spun me around and dropped me flat. I truly don't know whether my legs wouldn't work then or whether I would not let them. Anyway, I could not get up. I crawled abut three hundred yards and called my sergeant. Some of the men came out and got me, as by then I was out of my head. The next I knew I was on this ship. 1. The value of training cannot be stressed too much. My men were never "trigger happy" and acted like veterans from the very beginning. There was no hysteria, and no cowardice. We were all damned scared. Squad leaders acted immediately on signals, and their men acted immediately on theirs. We took cover, I think wonderfully well, and our marksmanship was so far above the Japs that there is no comparison. The one place we lacked training was in the use of grenades, and until the men threw a few, they were afraid of them. 2. Staff work must equal small unit work in quality if there is to be success. Lack of coordination will clause units to fire into the area held by friendly units, and, as I actually saw, attack fr units. I cannot stress this too much, as I saw the lack of it too much. 3. The Jap is terrible with his mortars small and large. In the middle of a battle, it seems they have a million of them. I recommend that we be supplied with a small mortar for each squad. A 500-700 yard range would be thoroughly adequate. Mortar fire is what caused our real casualties and what completely pinned us down time after time. 4. The Jap is no superman. Give him hell and he will back up. I saw not a single instance of any suicidal sacrifice, but I did see a great deal of downright stupidity. Those we killed by the lake died because they never heard of, apparently, the idea of movement under cover, and fire and manuever. These Japs were crack troops from Burma and Singapore. Without a trace of the usual "fight talk" (God forbid), we have it all over them when it comes t slugging. Their snipers are terribly overrated. They simply are very poor marksmen. rain pants and jacket are excellent. However, we wore them wrong side out, because moisture condenses on the rubber inner lining and keeps the wearer constantly wet. The rubber clothes need pockets. An American is lost without pockets. THe Alaska Field Jacket is fine. We should be issued will helmets that cover the neck. Our necks were always wet and cold. Everything in the matter of clothes should be considered on the basis of keeping dry. No matter what is done, a soldier will never keep completely dry, but we were too wet, especially our necks and feet. Being wet when night comes is asking for pneumonia. Our RLG lost many effectives as exposure cases. 6. Coxswains should be taught that when they are not sure they have arrived at the right beach, they should at once either go in and land anyway, or get a mile off shore. 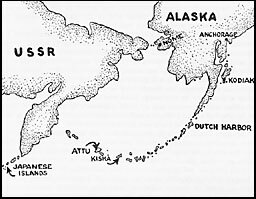 If the Japs had opened fire on us while we lay a hundred yards off shore and nearly a hundred boats haggled as to where we were, Massacre Bay would have been well named. 7. We should have a radio that works. I have never seen a time in maneuvers or in combat when the 536 could be relied on. As usual, mine went out just when I needed it most. There is no question but that every platoon leader should have radio communication with his company commander. A company's ability to hit hard, suddenly, and unexpectedly would be tremendously increased. Also it would prevent, or at least quickly stop, friendly units from firing at each other. 8. Those in charge of supplies should realize that a combat field is not a garrison. I sent a sergeant and a squad back for rations. No one seemed to know anything about rations, so he went clear to the beachhead. There some officer told him it was all very irregular, and finally let him have enough K rations for one meal and made him sign four different papers for them. To me this is almost unbelievable, but it happened. 9. Take lots of ammunition. We did, and so were never worried as to how short we would be in five more minutes. We always had enough to hold us until we could be normally supplied. This is to the credit of some higher echelon, for I know that there were some who did not want us to take over forty rounds per M1 rifle. Take plenty of grenades. The Japs have a deadly fear of our grenades as they are about twice the size of theirs. Grenades will knock them out when nothing else will. Don't run down the offensive grenade. Take plenty. They will blow a Jap apart in a dugout, when he can hide from the fragments of the fragmentation grenade. A very effective way of carrying grenades is by putting an extra canteen cover on the cartridge belt. It holds four grenades. That is enough to begin with. and thrash around and beg for help. As a result, though my unit did not suffer a single casualty, of which naturally I am very proud, when my boys saw an American from another unit doing just what I told them he would, they simply gritted their teeth, and got ahead of him so the aid men could help him. Don't make it more horrible that it really is, but prepare troops for bad scenes. They will see them. 11. Officers with special duties should be chosen with almost bitter care. When an artillery spotter finds it more healthy to dig in rather than get up at the front where he can see to help the front units, the loss is irreparable. When a liaison officer finds it healthier at the rear, the front commander who needs him is definitely hurt. Great care should be taken in this choosing. 12. Incompetent commanders of any rank should be weeded out promptly without mercy or show of friendship. This is the most important thing I have said in nine pages. a. Preparations for use.--(10 Check screw in center of top plate for maximum tightness. Tighten swing locking screw used to secure lower cover plate. Rubber sealing gaskets should be periodically checked for deterioration and, if defective, replaced. (2) Seal cracks around edge of top and bottom plates with cup grease, vaseline, tar or tape, giving especial attention to portion of edge under carrying straps. Grease antenna insulator lightly. (3) When possible, use any procurable light rubber or other water repellent covering for the set when in transport or in use. b. Precautions during use.--In rain, turn set top down when extending or collapsing antenna. Wipe antenna as dry as possible while collapsing. 2. It has been found that when properly cared for, the SCR-536 is a serviceable and reliable radio set within the limitations imposed by its range and battery life. 1 Probably "Regiment Landing Group, --- Infantry." 2 FM 7-10, par. 142b. "When the enemy is covering a zone across the line of advance with long-range machine-gun or artillery fire (interdiction fire), the squad frequently crosses short stretches of such exposed terrain by successive movement of individuals. This action is taken by the squad leader, upon his own initiative or when directed by his platoon leader. Individuals do not stop until they have passed through the area covered by fire; this is particularly important when crossing crests of passing through defiles. The squad leader moves across the area first and reforms his squad beyond the area as his men come through." 3 FM 7-10, par. 142a(2). "'As skirmishers' is less vulnerable to hostile fire form the front, and enables the squad to employ its weapons to the front without change of formation; but it is more difficult to control than squad column. It is adapted to rapid dashes across open spaces, particularly shelled areas. When the squad id deployed in skirmish line its front ordinarily should not exceed 60 paces." 4 Probably "Battalion Combat Team, 3d Battalion, --- Infantry." 5 FM 30-20, par. 3. "The vast extent of unmapped areas which may exist in the theater of operations necessitates that provisions be made for mapping as operations progress. : Par. 5. "The map is as much an intelligence document as the report of a military observer and is subject to inaccuracies similar to those found in a written or oral report." 6 FM 100-5, par. 511. "Open warfare requires the widest possible exercise of initiative by commanders of all echelons in the execution of the general mission assigned to the command." FM 21-5, par. 44c. "The increased tempo of modern war, its rapid changes in local situations, and the great spaces it covers make it impossible for commanders to control the detailed action of subordinate units. Hence subordinates must be trained to take proper action to accomplish the expressed will of their commander. . . . These decisions (actions) require sound judgement and initiative--qualities which must be systematically developed and fostered in the training of every individual." 8 FM 7-10, par. 108g. "When the advance of the platoon is stopped . . . the platoon holds the ground it has gained and starts digging protective trenches and foxholes." 9 FM 30-5, par. 30. "Military intelligence is of no use unless it reaches the individuals or units concerned in time to serve their purposes. It is therefore of the utmost importance that it be properly and quickly disseminated. . . ."
10 FM 7-20, par. 153g. "If practicable, patrols include men who speak the hostile language in order that they may answer if the patrol is challenged." 11 FM 21-5, par. 44b. "Modern battle is marked by noise and confusion. The individual must develop in training such skill in the technique of operating his implements of war . . . that he habitually follows correct procedure under any conditions which may be encountered." 12 FM 7-10, par. 108e(2)> "Unless the attack is to be resumed immediately the platoon should dig in to be prepared to meet a hostile counterattack." 13 FM 7-10, par. 132. "The platoon acting as a flank security patrol conforms, in general, to the doctrines governing the employment of a rifle squad as a flank security patrol. The platoon leader is told to go to a certain place, or to move abreast of the attacking echelon. When the platoon halts, observers are posted in pairs to watch the front, flanks, and rear. The remainder of the platoon is held under cover ready to resist in any direction. Contact is maintained with the group being protected. . . ."